Are you looking to swap California’s high cost of living, lack of jobs, and congestion for Colorado’s pristine outdoor living and urban conveniences? You’re not alone. 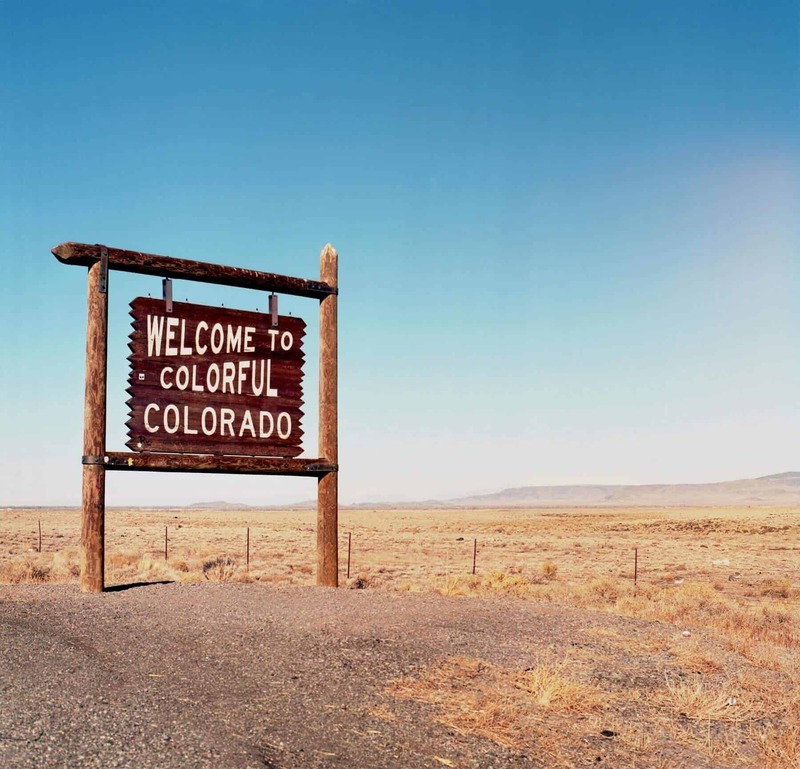 While the prospect of endless skiing, snowboarding, hiking, biking, craft beer, great career opportunities, family-friendly living, music and arts, beautiful weather, cannabis innovations, and affordability are more than enough for many to pack up and head for the mountains of the Centennial State, there are several points that should be considered before relocating to Colorado. Below, you will find an overview of what to expect, best places to live, and pro tips for moving from CA to CO.
1. Coloradans are an active bunch. Here, outdoor living reigns. And with so many activities to choose from – skiing/snowboarding, mountain biking, climbing, fishing, hot air ballooning, rafting, hiking, dog walking, wildlife watching, the list goes on – there aren’t a whole lot of excuses not to go outside and have some fun. With the lowest obesity rate in America (22.6%), it’s easy to see why Coloradans are enjoying a longer life expectancy. 2. Great place for nature, dog, and music lovers. If you’re a lover of any of the above (or all of them), you’ve found the right state. Colorado has diverse natural beauty in the form of mountainous terrain, desert canyons, wide plains, mesas, lush forests and crystal-clear lakes that are all ideal for endless adventures. The state is also very dog-friendly, offering numerous parks and trails perfect for your pup. Lastly, music lovers can enjoy their favorite artists at one of the many indoor and outdoor venues, including one-of-a-kind Red Rocks Amphitheatre. 3. Skiing is huge here. With no less than 28 ski resorts, this state is a pristine powder playground. Though it may not have the most resorts in America, Colorado offers some of the biggest. With more than 42,000 acres of ski runs to choose from, plus countless backcountry spots, there’s no shortage of activities for snowboarders sledders, skiers, and snowmobilers. 4. It’s home to young, educated people. 5. It’s America’s highest state. In Colorado, the average elevation of 6,800 feet and the lowest point sits at 3,315 feet in Yuma County (which is the highest low elevation of any state in the country), which means you’ll need to make some adjustments. First, make sure you’re properly hydrated. It’s not unusual to experience dehydration during your first few weeks or months here. Wear plenty of sunscreen as you will be closer to the sun and remember that elevation magnifies the effects of alcohol. The higher altitude affects baking as well, so modify recipes accordingly. 6. Weather is moderate year-round. Though local weather varies according to elevation and location, Coloradans typically enjoy temperate weather and mild humidity. Colorado also has some of the highest annual snowfalls of any western state, with Colorado Springs averaging 68 inches (US average is 26). The eastern region may surprise you with its rolling plains and hot summer temperatures, much like its neighbors Kansas and Nebraska. 7. The state produces stars. Maybe it’s the mile-high air or fresh snowmelt water. Whatever it is, Colorado is the birthplace of many famous people. The list includes actors Amy Adams, Tim Allen, and Melissa Benoist; athletes Chauncey Billups, Richard “Goose” Gossage, and Bobby Unser; bands Earth, Wind & Fire, 3OH!3, and The Lumineers; artists/photographers David Burroughs Mattingly, Barry Kooser and John Fielder; and astronauts (to name just a few) Dorothy Metcalf-Lindenburger, Kent Rominger and Scott Carpenter. 8. There are job opportunities galore. Colorado offers amazing opportunities for the ambitious. The state boasts a strong business climate and startup culture, making it one of the best states in which to start a company. The outdoor recreation industry is also booming, which prompted the launch of the Colorado Outdoor Industry Office (OREC), one of only seven such offices in America. Science, tech, engineering, and math (STEM) careers are also plentiful, along with opportunities in healthcare and aerospace. 9. Expect high incomes and higher-than-average cost of living. For the most part, Coloradans have high incomes. However, the state also has an above-average cost of living, and home prices have been on the rise. Compared to many parts of California, however, it is relatively inexpensive to live in many cities here. Colorado is also a flat-tax state (current rate is 4.63% for all households), and property tax rates are low. In 2012, Colorado legalized marijuana, allowing adults 21 years and older to use weed for recreational purposes. Even though it is legal, there are still rules. For instance, some cities don’t sell it, and there are restrictions on where users can consume it. People prefer not to smoke cigarettes here – fewer than 20% of residents smoking tobacco. Though not conclusive, it is interesting to note that crime has fallen since the state legalized possession and smoking of pot. As a so-called purple or swing state, there have been several closely contested elections between Democrats and Republicans here in recent years. This fact means that every Coloradan’s vote truly counts. If you’re passionate about politics, you’ll be happy to know that most residents take voting seriously here, and voter turnout is one of the highest in the country. 12. The state is a craft beer heaven. Of course, we can’t finish a list about Colorado without mentioning beer. With 235 or so craft breweries, Colorado is a mecca for craft beer aficionados. Top breweries that call Colorado home include New Belgium Brewing Company, Odell Brewing Company, Great Divide, Avery Brewing Company, Dry Dock Brewing Co., Oskar Blues Brewery, Steamworks Brewing Co., Left Hand, Ska Brewing, and Tommyknocker. Consistently ranked in the Top 25 places to live in America, several cities in Colorado offer a special combination of urban and natural features that attract Californians, including high livability and world-class outdoor activities. Here is our list of the seven best places to live in Colorful Colorado (in alphabetical order). As a popular suburb of Denver, Aurora is a culturally diverse city with an easygoing vibe. Perfect for anyone who loves playing outdoors, the city of less than 370,000 offers an assortment of activities that include golfing, hiking, biking, kayaking, sailing, and windsurfing. Plus, you’re only 60 minutes away from enjoying skiing and snowboarding in the Rocky Mountains. Nicknamed “The Gateway to the Rockies,” Aurora offers its residents a mild, semi-arid climate and breathtaking mountain views. People who are considering moving here will be pleasantly surprised by the affordable housing market, especially compared to the high-priced real estate of California. Add to the mix abundant career opportunities (including aerospace and bioscience), arts and culture, low crime rate, family-friendly activities, diverse public schools (along with an 18-to-1 student-to-teacher ratio), and its outstanding craft breweries (like Dry Dock Brewing Co.), and you have a recipe for great Colorado living! Boulder offers just the right blend of urban metropolis and small mountain town. Home to the University of Colorado, you will find a lively university atmosphere when strolling Downtown Boulder, where acclaimed restaurants, bars, coffee houses, and shops line the streets. For the outdoors fanatic, the area serves up thousands of acres of pristine mountain terrain (including Eldorado Canyon State Park) ideal for biking, fishing, hiking, and rock climbing. Those looking for love will be happy to hear that the city has one of the highest concentrations of college-educated bachelors and bachelorettes in the country, making it a Top 5 city for singles. With a population of about 108,000, Boulder offers mild weather (with late winters), great nightlife, topnotch public schools, and a liberal environment perfectly suited for those in pursuit of higher learning, outdoor adventures, love, and much more. Situated between Denver and Colorado Springs, Castle Rock is one of the fastest growing communities in America. This affluent city of fewer than 63,000 has been on the rise with the addition of tech and service industries and developmental growth, serving as a great place to work, live and raise a family. Like its counterparts, Castle Rock offers a multitude of activities and amenities, ranging from hikes at Ridgeline Open Space to indoor recreation at the 64,443 square-foot Miller Activity Complex. Known for its excellent Douglas County School District, low crime rate (16.43 per 1,000 residents), superb shopping, historic downtown and delicious dining, Castle Rock offers quiet living with a short commute to Downtown Colorado and Northern Colorado Springs. Recently ranked by a US News & World Report survey as the #1 most desirable place to live in the United States, Colorado Springs is a rapidly growing city that offers an extraordinary quality of life. The combination of urban amenities, public infrastructure, and outdoor activities has charmed various newcomers, including many millennials. Home to the US Air Force Academy and Fort Carson, Colorado Springs has enjoyed considerable growth in industries such as tech, defense, and aerospace while attracting companies like Progressive Insurance and Lockheed Martin. With a population of 465,000, the city boasts a low cost of living, quality education, strong job market, vibrant arts, and cultural scene, and access to premier public parks like Pikes Peak and Garden of the Gods. Offering an unbeatable mixture of affordability, opportunity, and urban and outdoor living, Colorado Springs easily earns its place as one of the most livable cities in America. From its majestic mountain views to its booming job market and cannabis industry, the Mile-High City (nicknamed for its 5,280-foot elevation) is one of the fastest growing cities in the US. With a population hovering around 700,000, Denver is both Colorado’s state capital and largest city. Home to 78 neighborhoods, 200 parks/recreational areas, several colleges and universities (including the University of Denver), a vibrant arts scene, popular music venues (like Red Rocks Amphitheater), celebrated bars and restaurants, and numerous pro sports teams (including the Avalanche, Broncos, Nuggets, and Rockies), there’s something for everyone! Despite its higher cost of living compared to the national average (but lower than San Francisco and other California cities), Denver more than makes up for it with first-rate outdoor living, nightlife, career opportunities (particularly in tech, healthcare, education and science), and everything else you’d want from big-city living mixed with mountain magic. Fort Collins (aka FoCo) is a perennial favorite when it comes to places to live in Colorado. The reason why? Some might say it’s the seemingly boundless hiking, kayaking, and biking opportunities. Others may attribute it to the town’s art galleries, historic architecture, live music, and vibrant downtown. And if you’re a beer enthusiast, it’s probably the several renowned craft breweries (like New Belgium Brewing Company) that call FoCo home. Whatever your flavor, Fort Collins offers a great combination of outdoor, historical and cultural offerings with a high-ranking school system, tech industry (home to companies like Hewlett Packard), college-town ambiance via Colorado State University, and budding marijuana industry. With a population of 165,000, this city offers a high standard of living combined with a small-town feel and progressive vibe. Searching for one of the best small towns in Colorado? Look no further than Louisville. With a population of about 20,000, it certainly checks all the boxes when it comes to livability and small-town charm. Consistently listed as one of the top places to call home in the United States, Louisville offers stellar schools, outdoor recreation, rich history, plentiful job opportunities (particularly in tech), and a strong sense of community. Couple this with one of the lowest crime rates in the state (4.88 per 1,000 residents) and a short commute to Denver and Boulder, and you’ve got a winning combination that’s hard to beat. If you’re in search of a great place to raise a family – or want to enjoy its 26 miles of hiking trails and bike paths – Louisville, CO is sure to please! Moving to another state is a huge undertaking. Without a solid game plan, it can be easy to get super stressed and miss important steps. To help, we’ve compiled an interstate moving checklist to make your Colorado relocation a lot more manageable. Plan. This step seems obvious, but with how life can get in the way, your moving day can show up faster than you think. Give yourself ample time to cover all bases. To save money, schedule your move during non-peak months (fall and winter). Do some research. You’re planning on living in the Centennial State, but where exactly? In a city or small town? Apartment or family home? How are the schools, neighborhoods, nightlife, restaurants, etc.? The internet is a great resource, but when it comes to local knowledge, consult a friend or family member who lives in the area or get a hold of a realtor. Visit Colorado. If doable, you should check out your new state and city in person. Getting a feel for the area is vital, especially if you’ve never been there before. See what your future home has to offer and make an adventure out of it! Find a new place to live. While searching for a home in Colorado, keep in mind the main features you need and want. If possible, be there to look at your options. You can always start with short-term housing if you still need more time to find the perfect place. Once you’ve come to a decision, make travel arrangements (hotel, airfare, or car rental). Notify landlord and reserve storage. If you rent, make sure to provide enough notice. Breaking a lease can result in extra charges and other headaches. If you need a place to temporarily store possessions, secure a quality storage service to stash your stuff. Hire an interstate mover early. Shop around for a great moving company experienced in your type of move. Make sure haulers are fully licensed and insured. Moving companies can book up quickly (especially during spring and early summer), so make sure to reserve a date ASAP. Purge and downsize. Getting rid of clutter will save you space, time and money. Begin by touring your place to see what you need. Starting in one room, decide which items to keep or discard. Donate, sell, or dispose of anything you don’t need anymore. Start packing. Grab enough packing supplies – boxes, packing peanuts, tape, etc. Begin by boxing anything you won’t need until after you move. Keep records of where you place each item. Pack important documents in a separate box and clearly label. Let people know you’re relocating. During this hectic time, it’s easy to forget to tell people about your big move. Don’t be that person! Write down a list of everyone you need to contact. When you can’t meet in person, send an email with your new mailing address. Have a yard sale. You may have a lot of items that are just taking up space. A yard or garage sale is the perfect opportunity to give them a new home and make a few extra bucks in the process. It also gives you the chance to catch up with neighbors. Anything you don’t sell, you can give to charity. Update information, utilities, and services. Schedule for cancellation of services (internet, sewer, electricity, etc.) and set up new ones. Obtain personal records (medical, dental, etc. ), submit a change of address form, and forward your mail. Remember to update your insurance policies and purchase new coverage, including home or renter’s insurance. Establish domicile & obtain a new driver’s license. Establishing legal domicile is important for tax purposes. Check out Colorado’s state website for more info. If you need a driver’s license, make sure to have proof of CO residency, lawful US presence, and social security number. You’ll be required to pay a small fee, take a vision test, and have fingerprints and a photo taken. Arrange for your pets. Plan for pet travel arrangements, whether flying or driving. Depending on your new county, you may also need to purchase a pet license. Many areas require you to register a pet within a month of moving. Confirm any arrangements. This includes moving services, travel, housing, etc. Service your vehicle. If you’re driving to Colorado, change the oil, check tires, and have any other necessary services performed to ensure a safe road trip. Pack a box with everything you’ll need during the trip and first night. Gather any items you’ll need for traveling and your first night, including prescriptions, snacks, toiletries, and bedding. Pack last-minute items and clean. Don’t forget anything important. If you rent, clean thoroughly (especially if you don’t want to leave behind any messes that could jeopardize a security deposit). Hire a cleaning crew if needed. Say your goodbyes. Set aside enough time to spend with family, friends, and neighbors before you head out. You can spread it out over a few weeks, clear out a day, or plan a going away party. Rest up the night before moving day. Stay in, enjoy a nice dinner, relax, and get plenty of sleep. You’ve got a big move ahead of you. Perform one last walk-through. The day has come! Before you embark on your journey, make sure your old place is clean, and that you’ve accounted for everything. So, there you go. With this guide, you should be on your way to a happy, drama-free moving experience. We hope this helps you start on the right foot in Colorado. If you’re looking for pro cross country movers you can trust, contact Great Guys Long Distance Movers today!